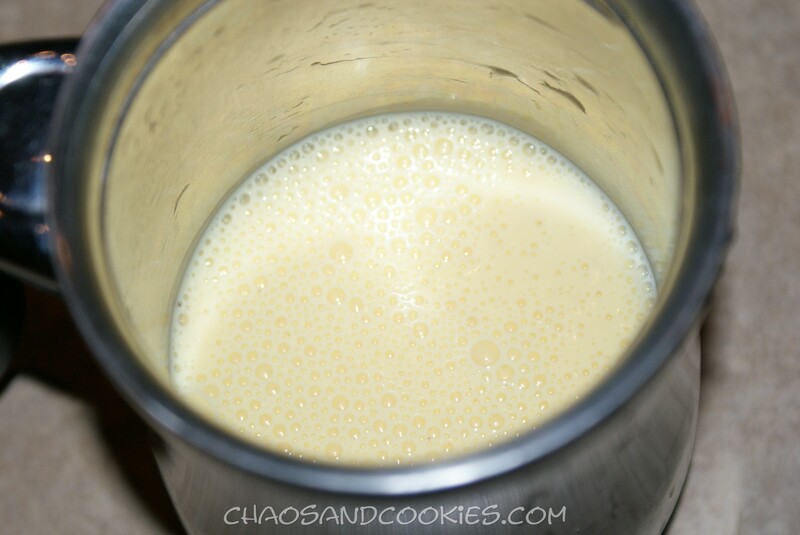 Are you an Eggnog fan? It seems that lately I have run into many people who scrunch their nose up at me when I mention Eggnog. I guess it’s just not a taste for everyone. For me, I start looking forward to the arrival of this treat in September! My kids, husband and I start scouting out the stores in October to see who, if anyone has put it out yet! 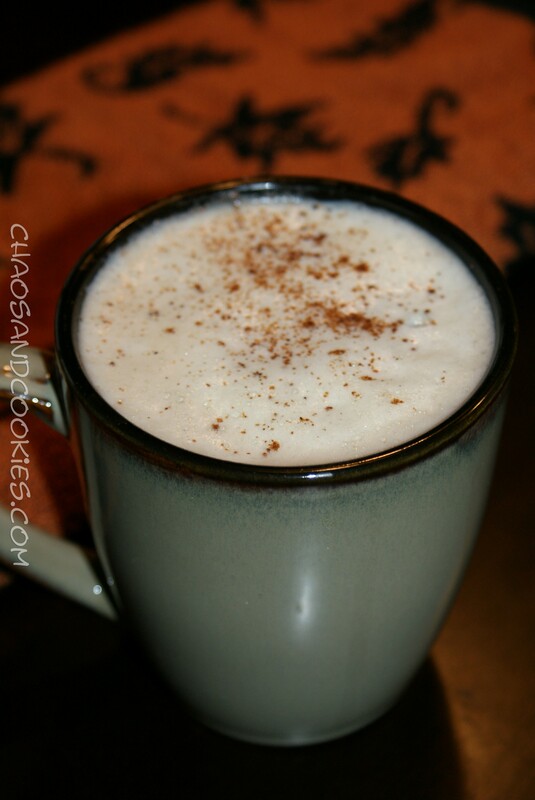 I love that there is a light version too that to me tastes just as good and is not quite as deadly as the full fat version, yet no Eggnog is really healthy! A couple months ago I broke down and bought a latte maker, nothing super fancy, but a nice solid little Delonghi machine. I instantly fell in love! Not only did it make excellent lattes, it has saved my bank account from countless runs to coffee shops for overpriced milk with a shot of espresso. It has already paid for itself, no doubt. 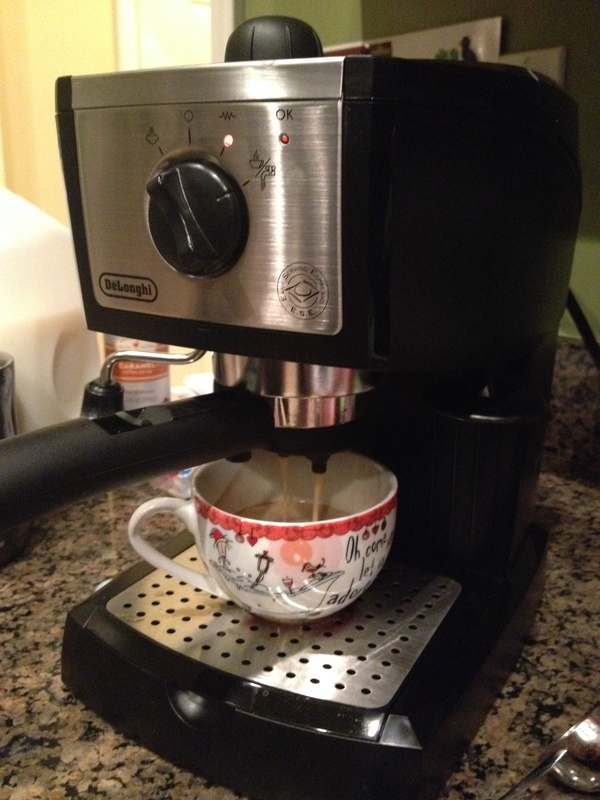 This little machine amazes me with it’s capabilites. 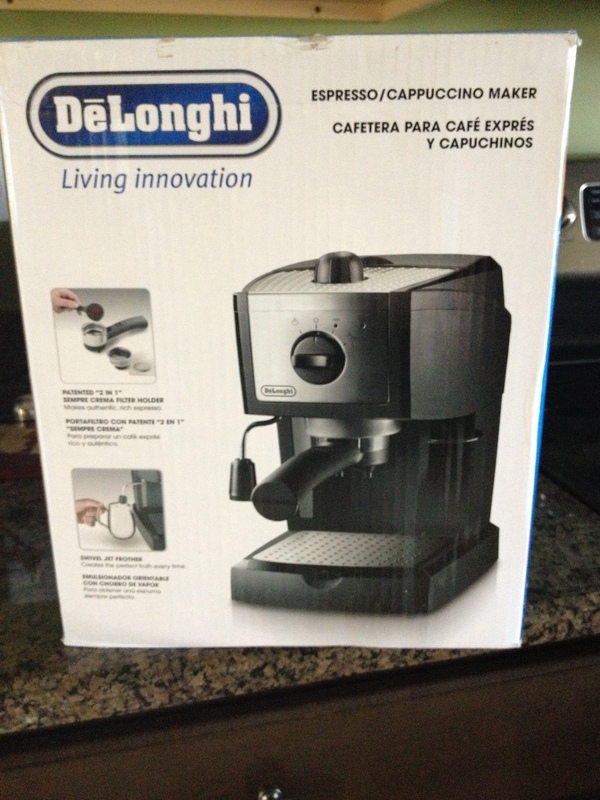 If you ever invest in an espresso machine, I highly recommend Delonghi! Recently on a chilly day when my husband and I were both home we were trying to decide which flavor latte we should make. 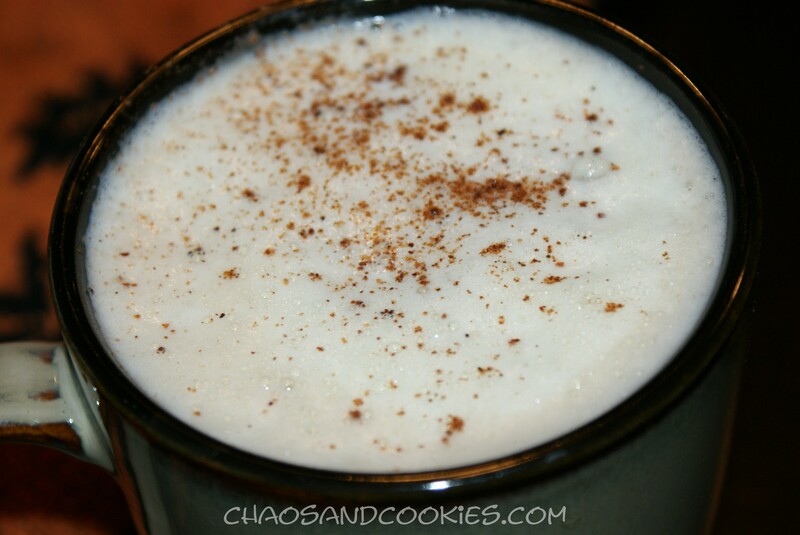 When I suggested a Rum Eggnog latte the hubs was totally on board. It was so good! Captain Morgan is my favorite Rum, it’s warm and rich tasting and you just can’t go wrong with it! 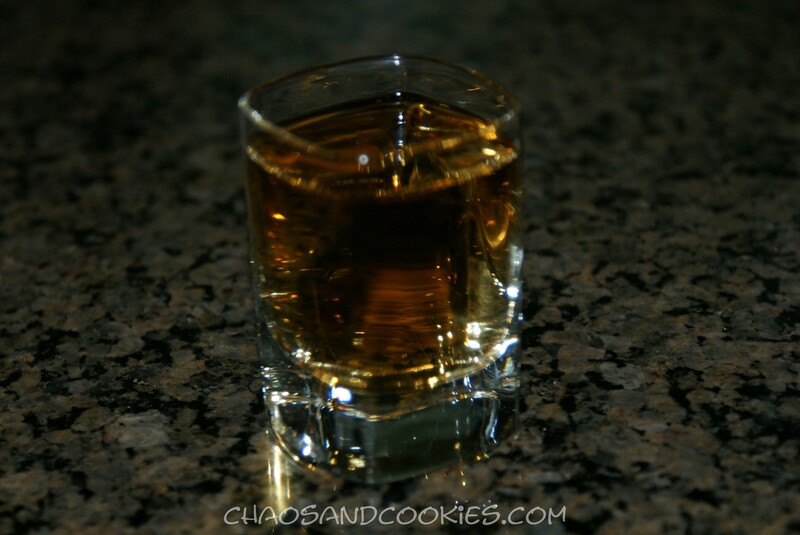 Bacardi is great too, but it’s a lighter rum for drinks that don’t require a lot of warmth. If you make this, definitely go with a darker rum, just use the captain! Here is what I did, it’s very simple! Turn on your machine and make sure there is enough water in it. My machine requires I warm it at least 15 minutes ahead of time. 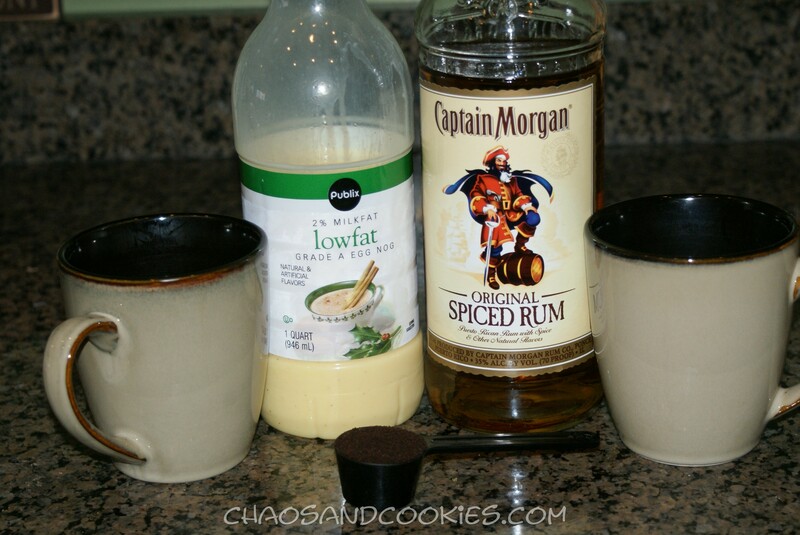 Get two mugs out and add the Rum shot to each. Pour the eggnog into your frother. 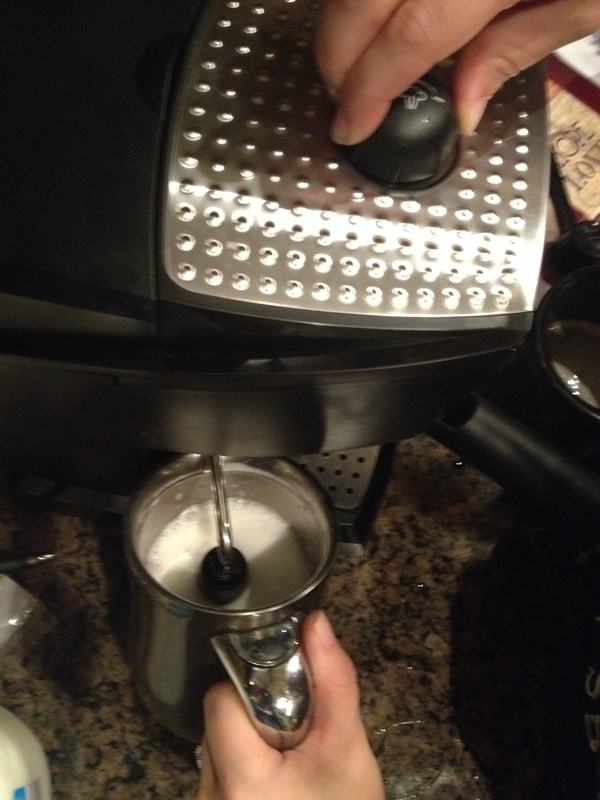 Add your scoop of coffee to your filter basket then tamper the grounds using enough pressure to pack the grounds. You do not want to skip this step because you do not want the water to run through your beans to quickly or you will have a weak latte. That sounds yummy! I love egg nog! I may have to try this out on Thanksgiving! 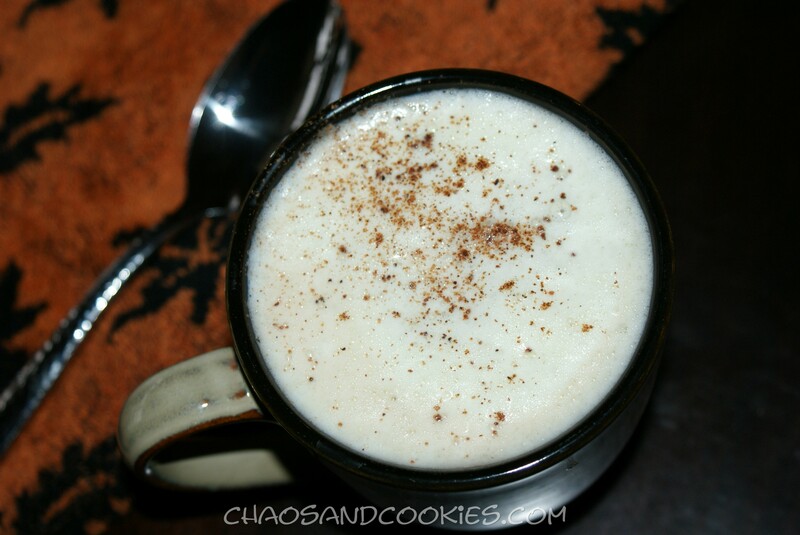 I love eggnog and appreciate the recipe. Also appreciate the recommendations for the espresso machine and the rum.